In order to make sure that this happens, Jubilee students have been writing an online textbook of the twentieth century since 2006. They called it “Journey to the Center of the Twentieth Century”. The purpose of the textbook is to include the under-told stories of the twentieth century which are usually left out of textbooks for children. “The Deep Past of Haiti” began as a short collaborative research paper, for Jubilee’s student online textbook, on the American occupation of Haiti, which began in 1915. It was written by the same students who wrote the Declaration of Principles. As we researched the occupation, it became apparent that in order to understand the early twentieth century history of Haiti, we needed to know about the Haitian Revolution, which led us all the way back to Columbus. 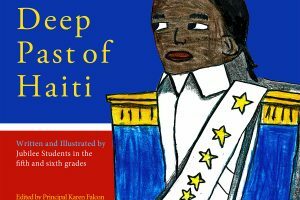 The thesis of the book is that Haiti is an island that has always been rich in resources, and that because of colonization, slavery and exploitation it has been robbed of its wealth. It is also a celebration of Haiti’s “indomitable spirit”, as the first country which was liberated by slaves. In the introduction to their textbook, students wrote: ” History is like the earth; it has many layers. This textbook will peel back the layers so you can see what is really inside. It will go into the core of history”. The process of writing “The Deep Past of Haiti” involved peeling back many layers, and questioning the perspective of sources…especially American sources written at the time of the occupation. The project took a year to research and write, and part of the next year to illustrate. Through our research, we all learned so much about Haiti, America and the world. And, about how history is told and not told. Every group, from pre-school through sixth grade, has a raised bed garden in Jubilee’s backyard. 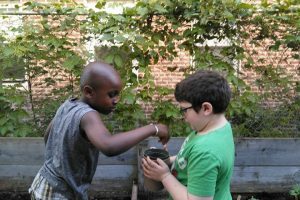 Volunteer gardeners work with students to prepare the soil, plant seeds, water and weed their gardens and harvest the vegetables. Students learn about plants, cycles of growth, and ecosystems along with the joys of gardening. 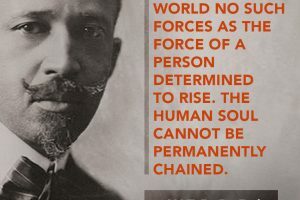 He will moderate a discussion on suggested readings – relating DuBois’ ideas to today’s politics. Participants will be asked to read a portion prior to each meeting so that they can come prepared for discussion. However, please do not feel intimidated if you are unable to complete the suggested readings-your presence in our discussions is welcomed regardless. Jubilee’s Book Club will meet on the last Tuesday of each month at 7pm. © 2019 Jubilee School. All rights reserved.